There are ways to make your Thanksgiving more nutrient dense, more digestible, and less of a sleep-for-3-hours-afterwards event. However, since it’s the day before the big event, you’ve probably already made your plans, and prepped. It’s too late to change course now, sailors, so we are going to talk about recovery from the great feast of 2018. Statistically speaking, there’s plenty of evidence to support the fact that the feast does not end in November, but only opens up the road to smorgasbord type of excess from the third Thursday in November through the New Year. Then, we know what happens, everyone wants to reset in January and clean up their diet and exercise routine because they’re feeling a little sluggish. Enjoy this wonderful holiday, where we can celebrate the bounty of Fall harvest, good friends, family and a little respite. Eat your favorite things you have been waiting all year for! I’m not a fan of trying to have a micro-slice of pie, or navigating portion control during this time. It’s really the weeks following that can invite trouble, when the party continues like it’s 1999. Start the day with some exercise. Maybe the whole family gets up for a brisk 1-2 mile walk while you wax poetically about all you’re grateful for. Better yet? Start and end the day with a nice walk. My family has traditionally enjoyed a good walk between the main meal and dessert. Exercise helps with blood sugar levels, as well as firing up the digestive fires so they can take on the feast with vigor! Take a high quality digestive enzyme 30-60 minutes before eating. Get one with the basic variety of enzymes (protease or pepsin, lipase, lactase, pancreatin, betaine HCI is a bonus) in order to address digestion of fats, carbohydrates, and proteins properly. Don’t forget to hydrate. With water. Small amounts throughout the day should help, just don’t drink a ton during or 30 minutes after the meal, you’ll douse your digestive fires. Consider having a aromatic tea with good digestive spices about an hour after your feast, such as ginger tea, fennel tea, Good Earth herbal tea, etc. Take time to enjoy the small moments, breath deeply, and slow it down a bit. There are often moments of chaos right as everything is coming together, but the rest of the day doesn’t have to be hectic. A calm environment (internally or externally) does wonders for digestion. Let’s be honest, you’re going to have leftovers, and I have many fond memories of eating my mom’s amazing homemade pies for breakfast. Try having one meal per day following Thanksgiving with leftovers. Consciously consume a lot of cooked dark leafy greens, and other non-starchy vegetables for the other meals. In other words, load up on veggies, and enjoy some smaller amounts of heavy fare. Know that after the feast, your blood sugar might do some crazy things the next day and make you think you’re terribly hungry again. You’re not. Drink some water, broth, or herbal tea to calm the blood sugar monster. Consider doing intermittent fasting the day after or the few days following Thanksgiving. In Chinese medicine, that bloated, sleepy feeling you get after feasting is called food stagnation. The best way to cure it is to give your system a chance to digest the huge amounts you’ve given it. The easiest intermittent fast is the 16 hour overnight one. It’s a breeze really. Say you stop eating at 7pm on Thursday. You’d fast the next morning, being sure to consume plenty of warm water (maybe with a splash of fresh lemon juice). You would eat your next meal at 11am on Friday. You can do this for a few days to give your digestive system a break from constant onslaught. Of course, the most ideal way to do the intermittent fast, according to Chinese medicine, would be to stop eating in the early afternoon, and fast until breakfast. However, due to cultural norms around sharing evening meals, this is probably not the time for that during the holiday season. Speaking of Fat Burning Man (Abel James), check out his tips for bouncing back after binging. 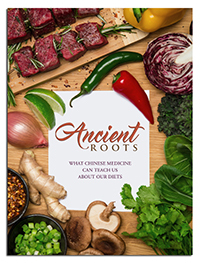 Talk with your acupuncturist about getting an herbal formula for food stagnation. This will help your gut recover, and regulate your bowels if they’ve become loose or a little backed up. JJ Dancer will have you laughing and sweating in this 20 minute dance inspired workout. Anything and everything by Movement Parallels Life. This 30 minute HIIT routine is fun and creative. It’s not super vigorous, and you’ll feel loose and energized afterwards. You know how YouTube works. Search HIIT, body weight workouts, or other similar keywords to find something that inspires you. You can always keep it simple by doing Tabata inspired flows. A 20-40 split seems to work for most people. Pick a couple of exercises, like squats and jumping jacks. Work as hard as you can (while being safe, after a 5 minute warmup) for 20 seconds, then rest for 40 seconds. Rinse and repeat this pattern for 5 minutes, 10 minutes, maybe longer depending on your fitness level. Go to yoga. The combination of breath work, mental focus, and physical shapes will move you back toward equilibrium in no time. Check here for our local studio’s class schedule: Revolver Yoga. Enjoy this wonderful time of reflecting on all there is to be grateful for, while basking in the warmth of friends, family, and your own beautiful soul. It is my great honor to practice this medicine, and I’m grateful to all of my patients for their trust and commitment.